Just up the road from 1860 is the Old Beechworth Gaol. Also built in the 1860’s, the Gaol has housed many famous felons, notably Ned Kelly and his mum, Ellen Kelly. Built from local granite, the Gaol is an imposing structure full of history, colourful characters and without doubt, much misery. Since closing as a working gaol in 2004, the Old Gaol has been owned by developers, without interest in preserving the building, grounds or history of the site. 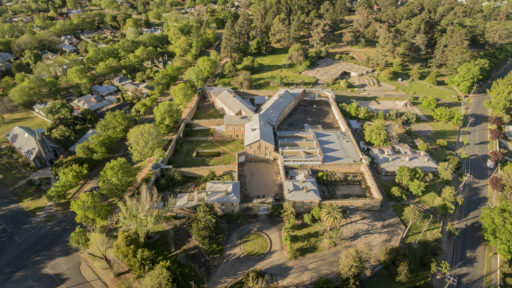 We are now very excited that 49 individuals, with the help of some philanthropic trusts, have purchased the Old Beechworth Gaol, and it is now back in community ownership. It will be preserved and re-imagined as a community asset, with a very bright future. Congratulations to all involved.